GT-1C is a color LCD audio/video tenant station for the GT series Multi-Unit entry system. 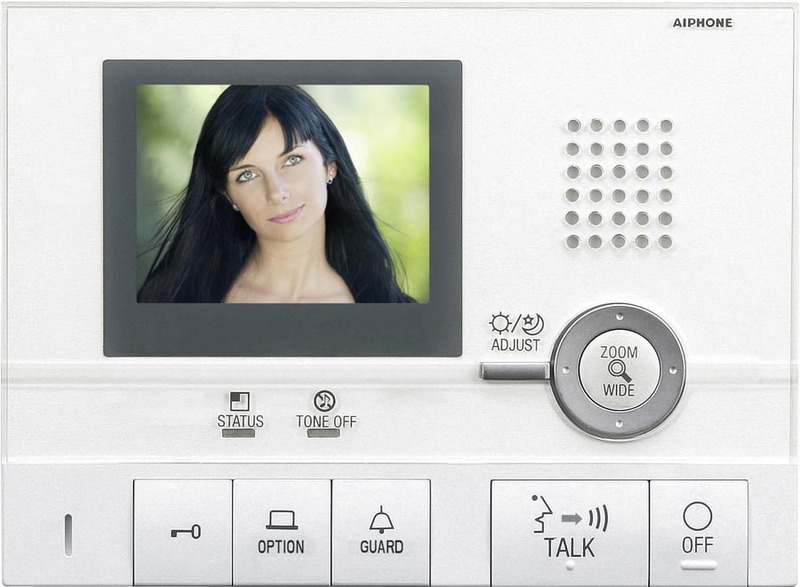 It is equipped with a Talk, Door Release, Option, Guard, and off buttons. The unit also has pan/tilt/zoom control and a light adjustment button for the PTZ camera at the entry. When a visitor calls, the tenant station rings and video is present. The call is answered by one touch of the Talk button. The GT-1C also has the capability of calling the Concierge/Security Guard station(s), turning on a light while speaking with a visitor at the entrance, and receiving an emergency tone from a pull cord or panic call button. The GT-1C is designed to be surface mounted, and has a slim streamlined design. Up to four units can be used in the same tenant location (2 audio/video and 2 audio only). Communication is hands-free at the entrance station when a tenant answers the call, and is VOX hands-free or push-to-talk at the tenant station when speaking with the visitor.